NY: William Morrow & Co, 1999. Book. Very Good. Hardcover. 1st Edition. 8vo -- 9.5 In Tall . Lacks jacket. Moderate wear, corners bumped, remainder slash mark on bottom edge, whitish discoloration spot on rear board. Dime-sized reddish stain on half-title page and facing page (possible pizza drip). Text clean. Bookseller spine label. 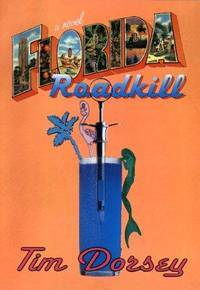 First edition of first novel by Tampa humorist. .
NY: Crown Publishers (Random House), 2002. Book. Fine. Boards with Cloth Strip.. 1st Edition. 8vo - over 7¾ - 9¾" tall. Close to new, no markings, gift quality. 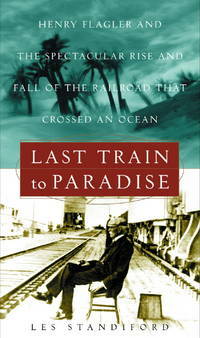 Vivid account of the construction of the Key West Railroad despite obtacles, and its later destruction in a 1935 hurricane. Includes 16 pp. b&w glossy photos. Index..
By Cassanello, Robert; Shell-Weiss, Melanie, Eds. Gainesville, FL. : University Press of Florida, 2009. Book. Fine. Cloth. 1st Edition. 8mo -- 9.25 in.. As new. No markings. Store tag on jacket spine. 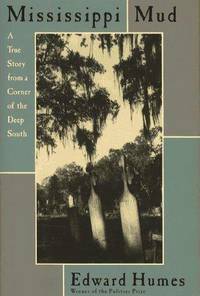 Collection of 8 academic essays on various periods of Florida's labor history. With introduction and epilogue by the ediitors. Topics include: Indian tribute labor in St. Augustine; slave labor camps; black Seminoles; post-bellum labor climate; racialized gender 1900-1920; black service workers in early Miami; Communist Party in Depression and wartime; Jamaican farm workers; lingerie workers; contemporary trends, including the Immokalee Workers movement..
Gainesville, Florida: Sports Publishing LLC, 2007. Book. Near Fine. Trade Paperback. First Edition.. 127 pp on glossy stock; numerous full-color photos. Close to new, no markings. Spine uncreased. 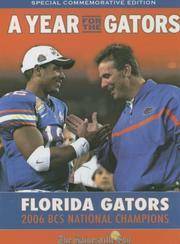 A game by game recap of 2006 championship season for the University of Florida football team, as reported by the Gainesville Sun newspaper. Profiles of players and coach. Size: 4to -- 11 in Tall. Daytona Beach: Drew Murphy, 2007. Book. Fine. Cloth & Boards. First Edition.. 156 pp. on glossy stock, Numerous color and b&w photos on most pages. As new, except for crinkling of dust jack edges. A scarce collection of reminiscences about a 40-plus-year partnership between the London Symphony Orchestra and local arts patrons in Daytona Beach. The alliance enabled the LSO to present summer concerts in Daytona ever two years. Contributors include the late Herbert M. "Tippen" Davidson Jr., the newspaper publisher who launched the project, and many members of Daytona's "high society" who helped bankroll the concerts. Some of the essays convey how Daytonans were star-struck to have classical musicians visiting their town known for NASCAR racing, Spring Break and motorcycles. The author/editor wrote many reviews and features about the LSO for Davidson's paper, the Daytona Beach News-Journal. This book was published shortly before Davidson was sued by Cox Newspapers, his business partner, for "wasting" too much of the newspaper's profits on the LSO and other arts projects. As a result of the protracted litigation, a court pulled the plug on the newspaper's subsidies and the LSO visits were terminated. Size: 8vo -- 9 in Tall By 11.75 in Wide. Boston: Houghton Mifflin, 1981. Book. Fine. Trade Paperback. Reprint 6th Printing.. 217 pp. As new, no markings, spine uncreased. Front cover lightly curled outward. With historical b&w photos and sketches. With 13-page forward by Peter Jenkins, and orginal 18-page introduction by William Frederic Bade. Muir, as a young man, recounts his 1867 hike from Indiana to Cedar Key, Florida. Size: 8vo -- 8.5 In. Leawood, Kansas: Cookbooks Unlimited (Circulation Service) Book. Very Good. Plastic Spiral. First Edition.. 140 pp. of recipes plus about 20 pp. of filler (cooking hints, measurement guides, etc.) Light wear, no markings. Glossy covers, green plastic spiral binding that allows the book to lie flat. Not dated, likely circa 1990. A collection of ordinary all-American recipes compiled by the Metropolitan Community Church of Charlotte, a gay-affirming Christian congregation in North Carolina. Size: 8vo -- 8.75 in..
NY: Ballantine, 1969. Book. Illus. by Evans, Walker, Photog.. Good +. Mass Market Paperback. Reprint.. 428 pp. Moderate toning of text, light edgewear, spine crease. Text clean, textblock still tight. No markings. About 60 full-page b&w photos by Evans form an unpaginated introduction to the text. 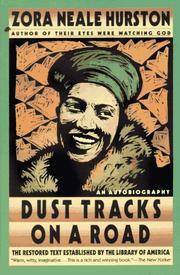 A pioneering report on poverty among sharecroppers during the Great Depression in the Deep South. 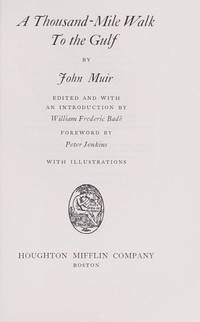 Fortune magazine originally commissioned the project but then rejected it, leaving it to Houghton Mifflin to publish the material in 1941. The book was mostly ignored until the 1960s, as LBJ's War on Poverty gained momentum. Size: 12mo -- 7 in. NY: Harper Perennial, 1996. Book. Very Good +. Trade Paperback. 1st Printing Thus.. 308 pp. Spine uncreased, no markings. Lightly read. This edition features restored text as established by the Library of America. Foreword by Maya Angelou. Size: 8vo -- 8 in Tall. NY: Plume (New American Library), 2005. Book. Very Good +. Trade Paperback. Reprint.. 309 pp.Close to new. slight bumping of corners. No markings. Gatefold flaps. Spine uncreased. 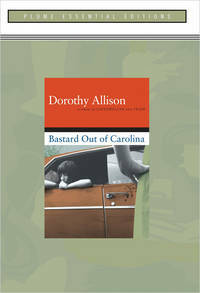 A National Book Award nominee, telling the saga of a southern family's hard times. Size: 8vo -- 8.5 In. Simon & Schuster, 1994. Ex-Library. Good. Cloth & Boards. First Edition.. 365 pp. Mylar protector. Spine slant. Ex-library with usual library stampings. Front endpaper split, binding still firm. Riveting report on the double murder of a politically prominent couple, Margaret and Vince Sherry, in Biloxi, Miss. in 1987. Size: 8vo -- 9.5 In Tall. Orlando: Sentinel Communications Co., 1987. Book. Illus. by Wright, Mike, et al.. Very Good +. Trade Paperback. First Edition.. 132 pp. Light wear, still close to new, no marking or spine creasing. Corner curling. Practical and comprehensive guide to gardening in Florida, written for the average homeowner. Many line drawings of plant species. Appendix giving month by month to-do list of tasks, plus locations of Cooperative Extension Service offices. Tips on planning and laying out flower beds. Detailed table of native plants. Size: 4to -- 11 in High. Atlanta: Peachtree Pub Ltd, 1980. Book. Very Good. Cloth. 3rd Printing.. 211 pp. Lacks jacket. Gray cloth; clean sturdy copy, light edgewear to spine. Bright gilt titling. No markings. A collection of short humorous columns by Atlanta newspaper columnist Lewis Grizzard. Includes timely essays about the Civil War and Gen. Robert E. Lee's military performance. Size: 8vo -- 9.25 in Tall. Ocala: ONFIA Book. Near Fine. Stapled Softcover. 112 pp. in stiff wraps, plus a few pages of tourism advertising at rear. Close to new. USDA Forest Service is co-publisher. No publication date, and no author or editor credited. A sportsman's guide to fishing in 50 lakes and streams within the 382,000-acre Ocala National Forest in Central Florida. Including a full-page map of the forest, and map insets for each body of water included. Includes technical info on water quality, plus identification guides for several fish speciefs and wetland plants. No markings or creases. Cover design is a Gene Packwood sketch of a fish jumping for a lure. Size: 8mo -- 8.5 In..
Key West, FL. : KWAC/Perky Press, 2002. Book. Fine. Trade Paperback. First Edition.. 175 pp. Close to new, no markings or creases. 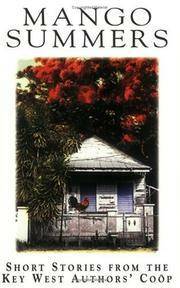 Fifteen writers based in Key West offer an anthology of 20 short stories set in their resort town. This is the third anthology published by the cooperatinve since it formed in 1995. 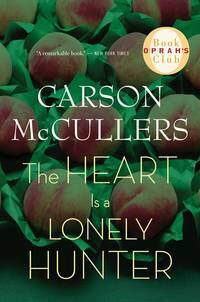 Writers include J. T. Eggers, Theresa Foley, Kirby Congson, William Williamson, Allen Meece and more. Size: 8vo -- 8.25 in..
Sarasota Florida: Pineapple Press, 1994. Book. Good. Trade Paperback. First Edition.. 293 pp., with historical notes at rear. Firm, lightly read. Marked "Reader" on front cover, and bottom margins on several pages contain pencilled cues for reading the text aloud. 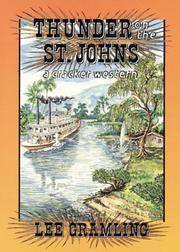 A tale about the Central Florida wilderness circa 1850 when a riverboat gambler joins forces with a pioneer family to thwart cattle rustlers. Author is a sixth-generation Floridian who has written other westerrns about the "crackers" (Florida cowboys). Size: 8mo --8 in Tall. Chicago: Ziff Davis Publishing, 1946. Book. Very Good. Cloth. Second Printing.. 213 pp. Water stain at bottom inch of spine and part of bottom board. Faint trace of same stain in bottom margin near joint of several pages. Overall, text clean, no markings. Small blue dot on end paper. Jacket has a few chips and small tears on spine edges and along lower edge of front panel. Mylar protector. Binding firm. Jacket art shows outline of woman's head above a pool of blood in a body of water. A Michael Shayne mystery about a woman who tries to sell her jewelry in a hurry and then gets murdered. Size: 8vo -- 8.5 In Tall. NY: Dover Publications Inc., 1976. Book. Very Good. Trade Paperback. Reprint.. 217 pp. Light thumbing and superficial vertical creasing on boards. Text clean. Binding sturdy. Spine uncreased. A collection of 15 of the best yarns about Dr. P., a psychologist/detective based at Ohio State. Some are set in Florida cities. Size: 8vo --8.5 In. NY: Ballantine Books, 1989. Book. Good. Mass Market Paperback. 7th Printing.. 215 pp., spine slant, some chipping. Text toned but clean. A Hoke Mosely detective story in which the suspect is pursed through Miami's both plush and impoverished districts. Size: 12mo -- 6.75 in..